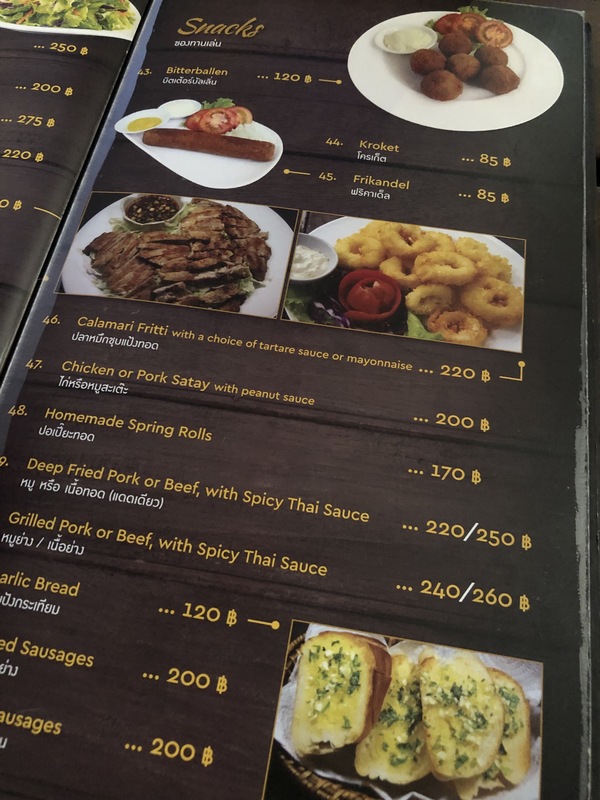 Today I would like to introduce a restaurant and bar in Bangkok Thailand. 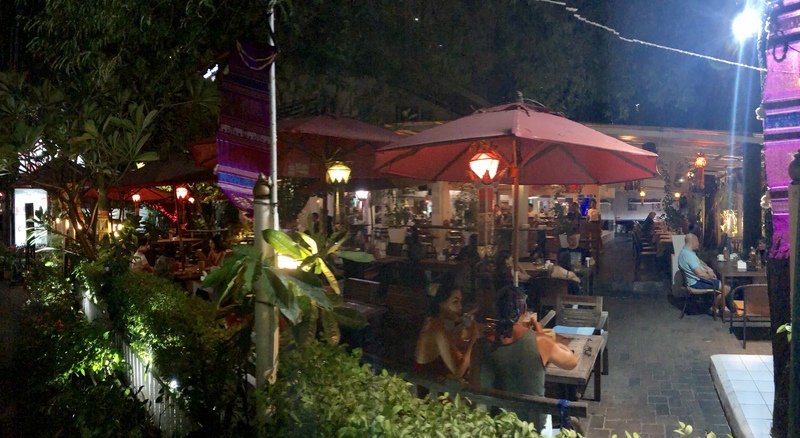 This is a nice restaurant and bar for relax after a long day. A place to enjoy with family or friends. Det 5 Restaurant and Bar is a family friendly restaurant that feels like home. 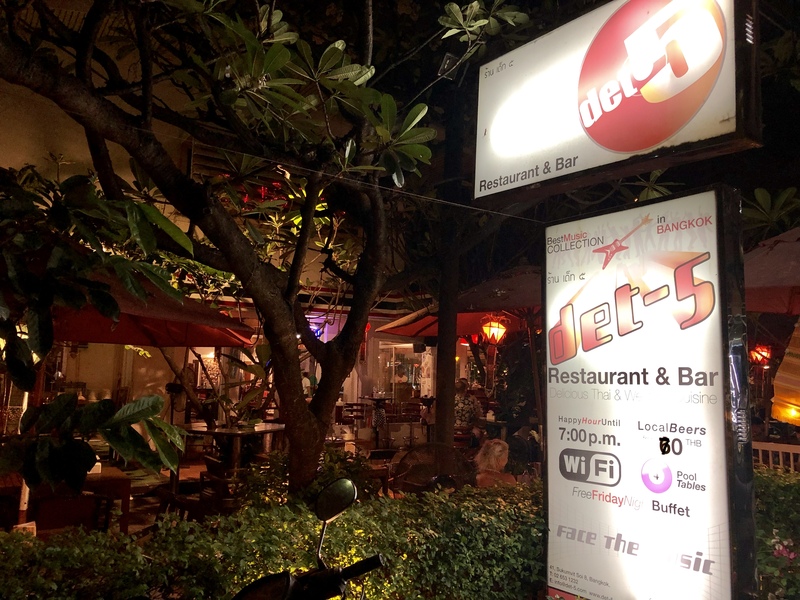 Det 5 is located at an alley (Soi 8) at Sukhumvit and just a short stroll from Nana BTS. Daily open from 10 am till 2 am daily which serves from breakfast till late supper. Det 5 has a concept of feels like home. 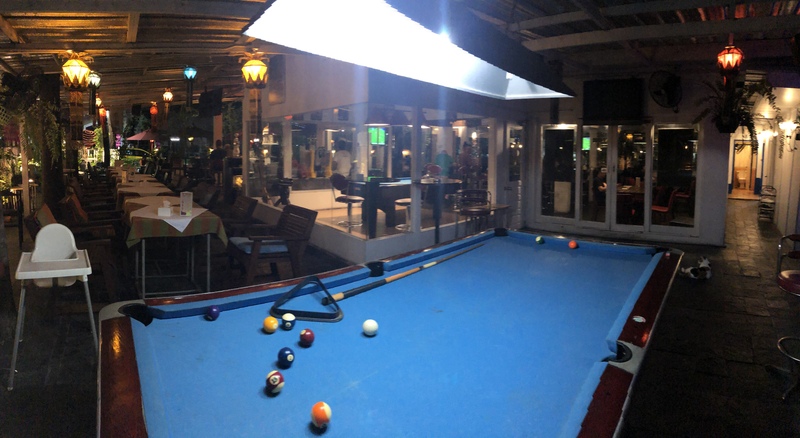 Outdoor bar lounge with dining area, indoor dining room with air conditioning and also there are pool tables with widescreen and TVs surrounding. 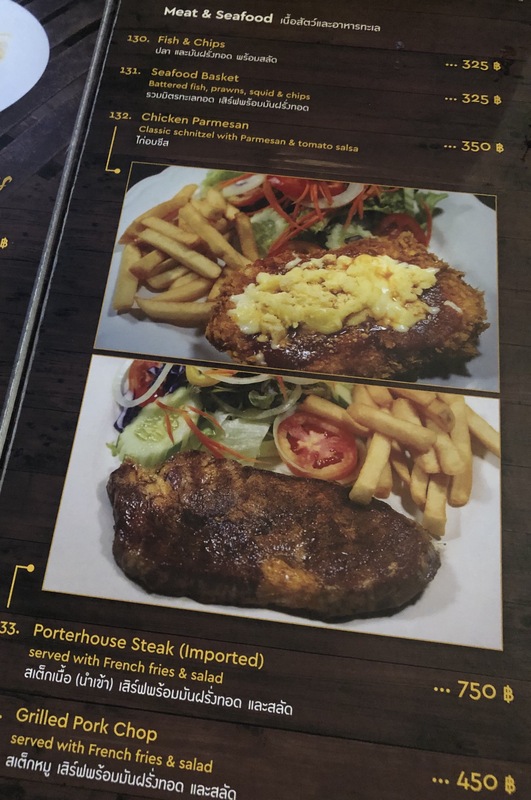 The restaurant have a special BEER BUFFET every Friday from 7 pm onwards, daily happy hour from 10 am till 7 pm and they serve vegetarian foods as well. 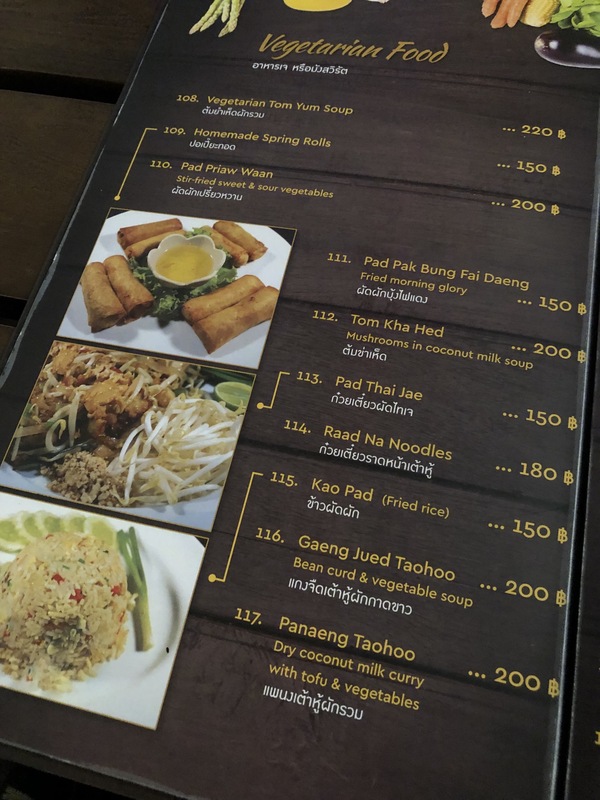 Let's check out their menus! 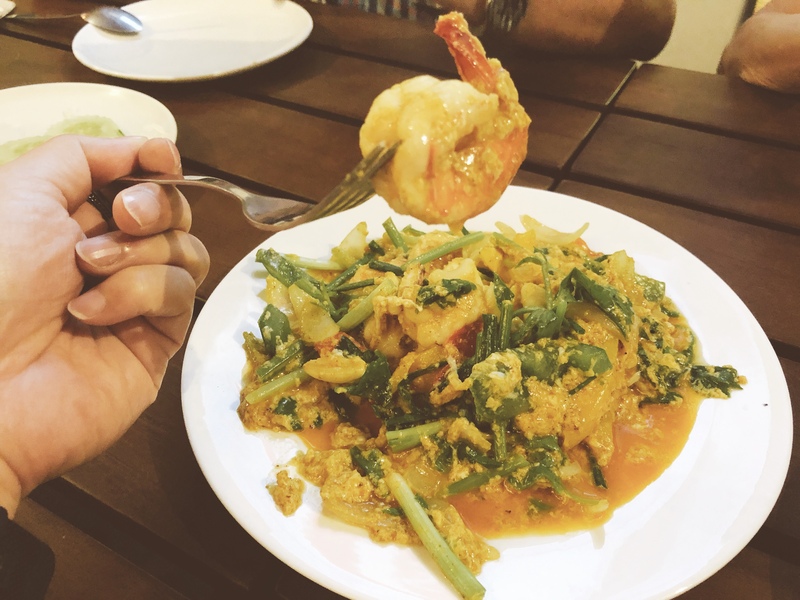 They serve a wide variety of foods from delicious Thai to International cuisine. 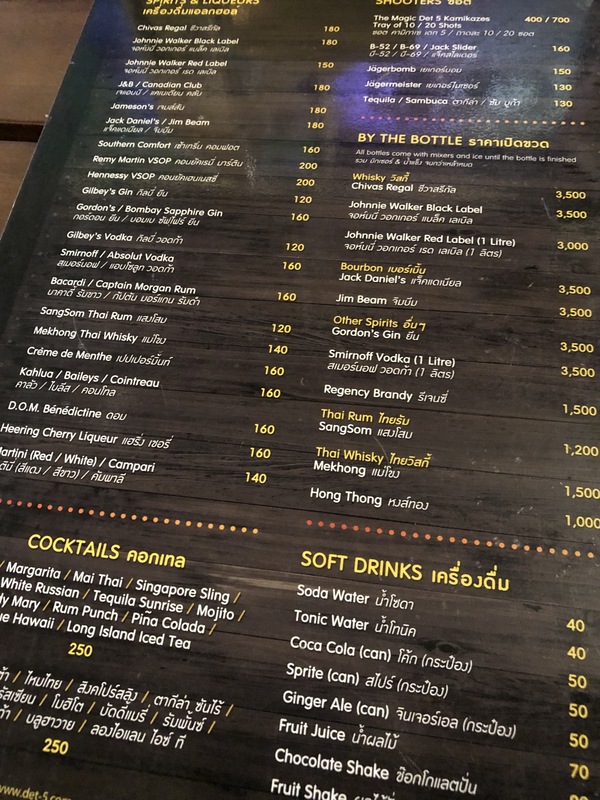 The choices of drinks from beer to soft drinks. I came here with my family and just the four of us. 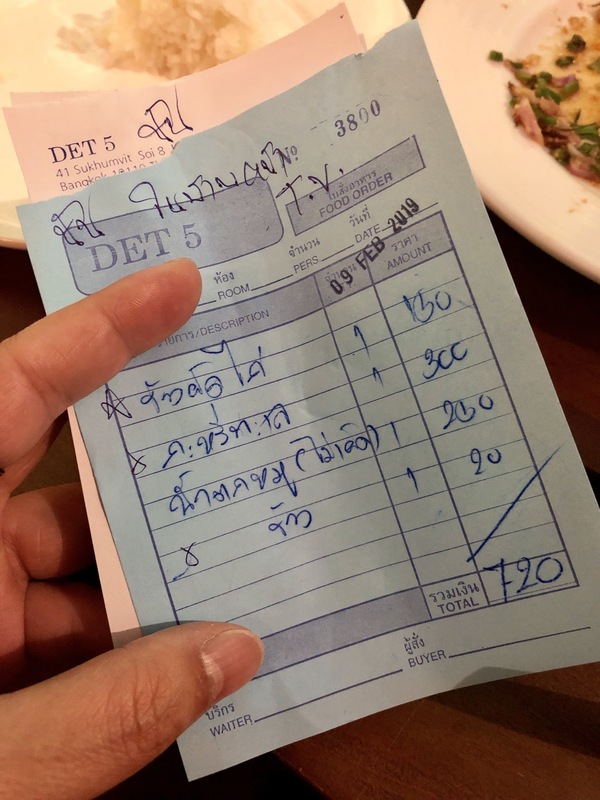 We ordered some Thai local foods for our late dinner. 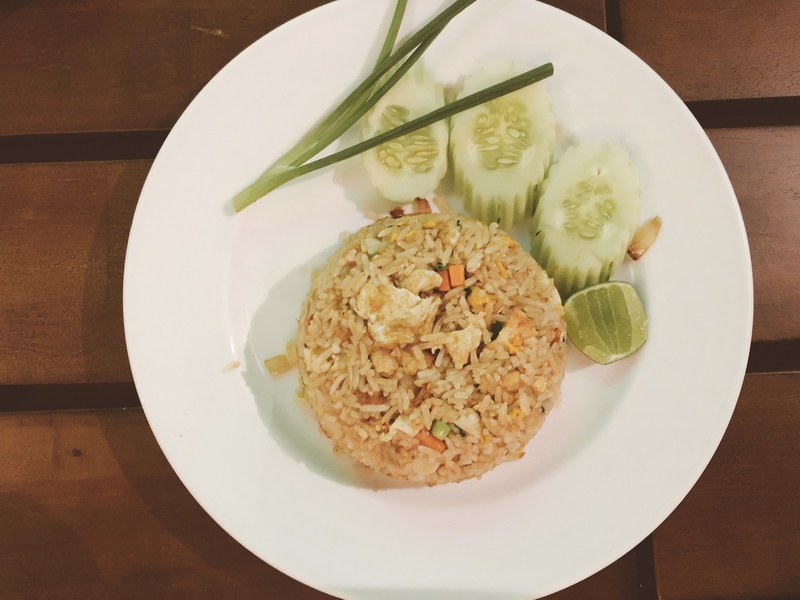 This is not just an ordinary fried rice. The rice is well stirred and fragrant. The pork is so tender and not hard to chew. 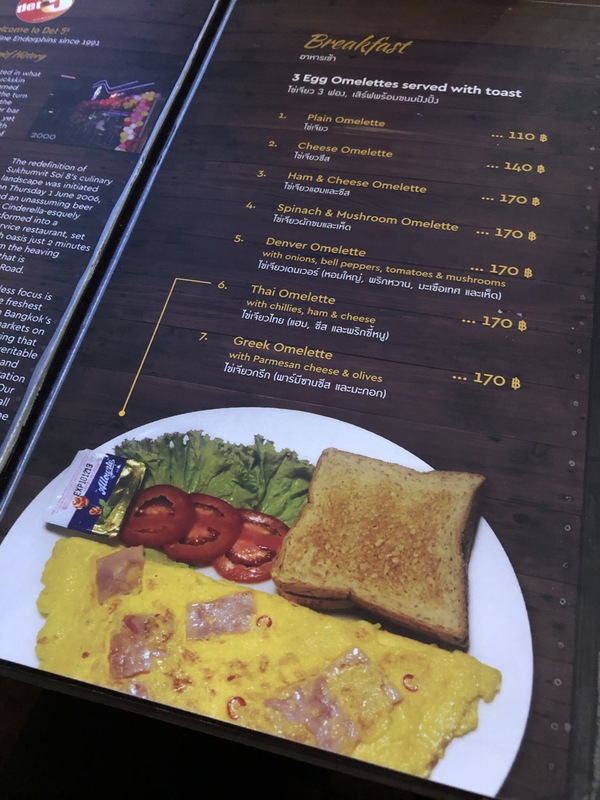 This is one of the ”must” order from the menu. Unforgettable! This dish is something new to me. They fried with coconut milk. Looks spicy but is not and is perfect for kids if those looking for something gravy but not spicy. One of the recommended by the staff. Never regret! This is one of the very local taste. 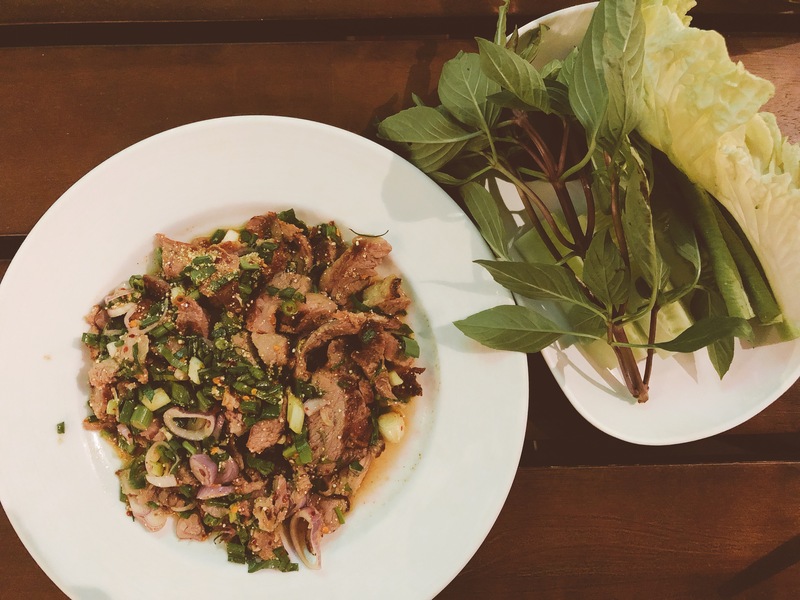 The pork meat is tender, and the sauce is sour which really appetite. Yummy! 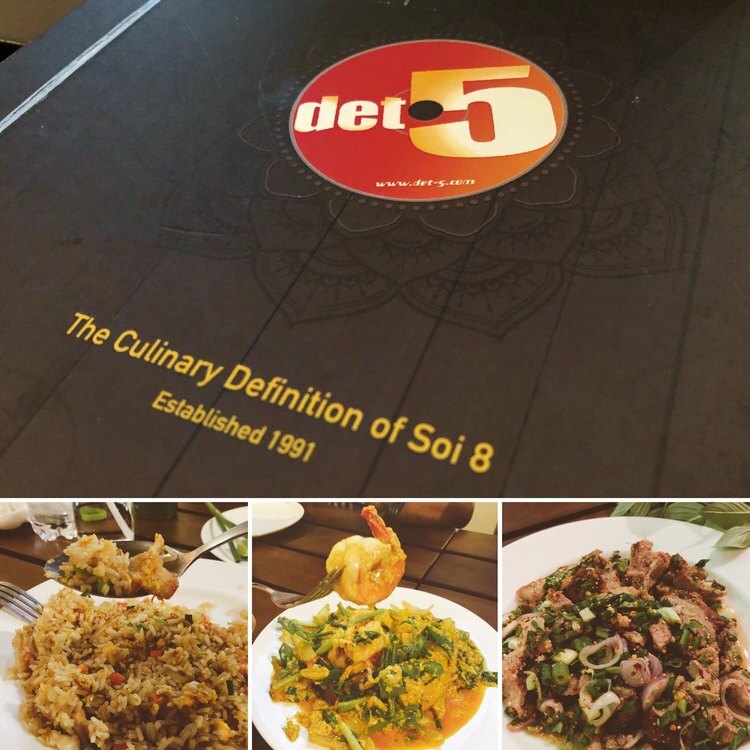 DET 5 is my second visit and before I came with my friend but this time I'm introducing to my family this amazing restaurant. The staffs are friendly and the price are reasonable. A place that should introduce to friends. I love to share good foods to every @tasteem and @steemit members. 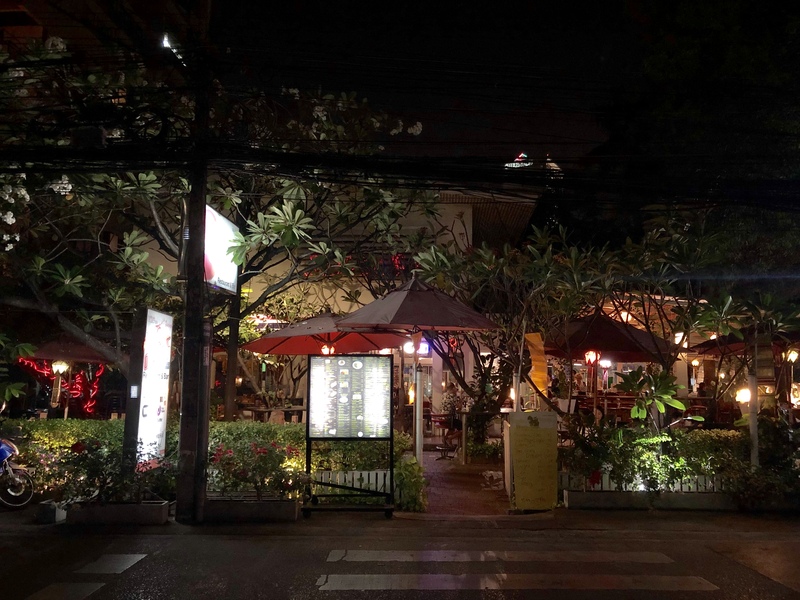 So don’t forget to BOOKMARK this place whenever you are in Thailand or traveling to Thailand. Thank you for spending your time to read my post. Do follow me for more review at other restaurants and cafes in my near future posts! All photos are originally taken by me! Great review for great place. Thanks for sharing with Tasteem. Thank you for entering our <Your weekly choice > Contest . Thanks to @nickychu, Tasteem has become a more attractive guide. We upvote your post, wish you the best of luck in winning our Contest! Congratulations! This post has been upvoted from the communal account, @minnowsupport, by NickyChu from the Minnow Support Project. It's a witness project run by aggroed, ausbitbank, teamsteem, someguy123, neoxian, followbtcnews, and netuoso. The goal is to help Steemit grow by supporting Minnows. Please find us at the Peace, Abundance, and Liberty Network (PALnet) Discord Channel. It's a completely public and open space to all members of the Steemit community who voluntarily choose to be there. Daily happy hour starting from 10am? Sure is interesting. Oh yesh bro. 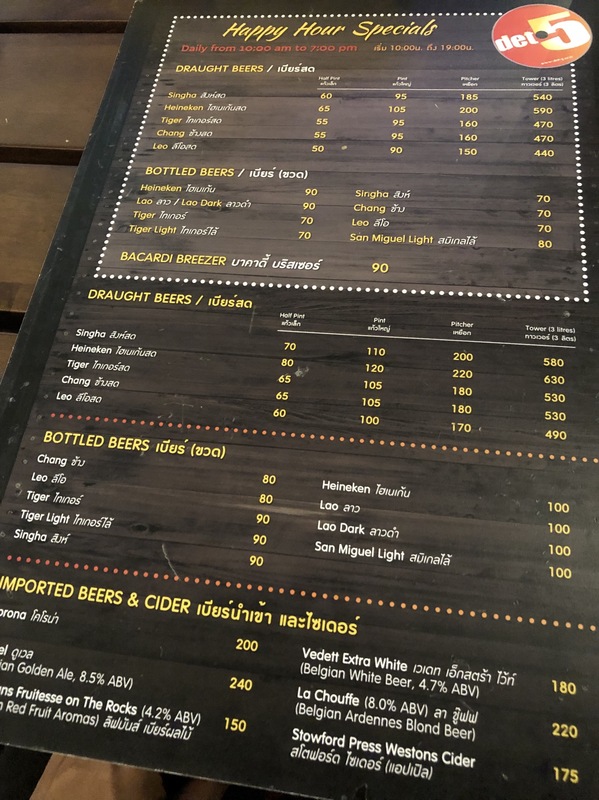 You can start drinking in a cheap price from 10am onwards. That's a great review! Thank you so much for sharing us this detailed review. Bookmarked! Have a great day! Thank you for your bookmark @sgbonus. Have a great day to you too! It definitely a nice place to spend the night, foods and atmosphere are amazing! 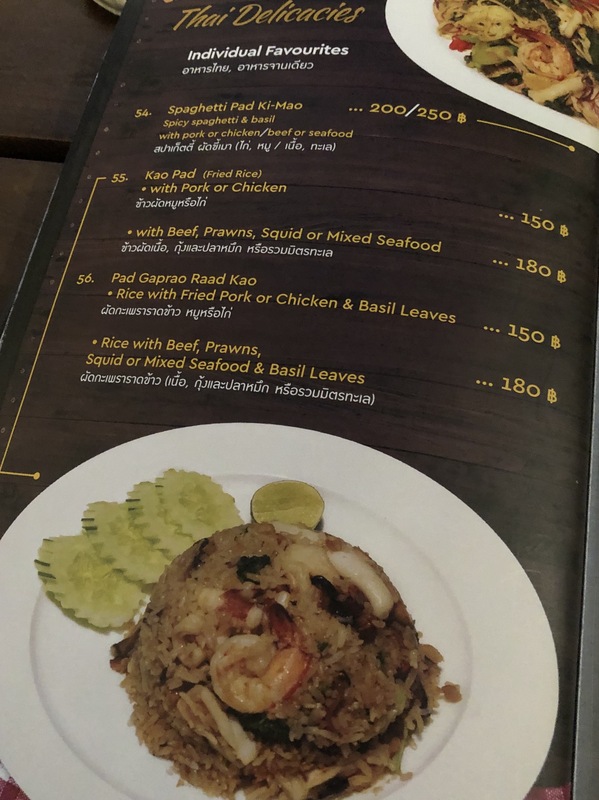 Great review!1 that shrimp is just asking to be eaten!! !